AFOTS	OTS tips and information. This information is from my experiences going to OTS in October of 2013, things may have changed since then. In addition to being a student and learning to be an officer, everyone will have a variety of additional duties which will require varying amounts of time to complete. Your flight is a group of ~14 people that will do everything together during OTS. You will be led by one commissioned staff member, you will be roommates and all live close together in the dorms, eat together, PT together, complete leadership challenges and commission/graduate together. There are a variety of flight level jobs that will have to be completed, and each flight member will have at least one job. The flight leader is a job that rotates every day to each member of the flight. The flight leader is responsible for marching the flight to appointments, keeping accountability for the flight, making sure the flight arrives on time to all appointments, reports the flight in for meals, and opens and closes the classroom during instruction in the flight room (meaning you follow a procedure in the front of the class, to give accountability to the flight commander when they come in). Everyone will do this job multiple times, there is no getting out of it. The admin job involves maintaining the “flight book” which is a binder that is used to hand assignments in to the flight commander, accept graded papers back from the commander, and store other important paperwork related to the flight. This is a high visibility job, you’ll have to report in to your flight commander’s cubicle every day to give them the flight book, and will usually be the person to relay information to the rest of your flight. OTS is transitioning to an online blackboard system for these types of things though, so in the future this job may change or disappear entirely. I did this job, and actually thought it wasn’t as bad as some people made it out to be. I enjoyed the extra practice working on my procedures, and felt like I was the “go to” guy for my flight commander since I saw him every day. Pros: You can develop a little bit closer relationship with your flight commander, if you consider that a pro. It also gives you more practice getting your procedures right, which is actually not a bad thing. Due to the time involved in this job at the beginning, you are exempt from cleaning details. Cons: You have to report in to your flight commander every day, and relay information to your flight. This opens you up to a variety of ways to screw something up, earning yourself demerits and other punishments in the process. You also have to hound your flight members for various assignments, frequently slapping things together at the last minute to get them to your flight commander in time. This is probably the most difficult flight job, especially at the beginning. This job is responsible for making sure all of the work turned in to the flight commander is consistently formatted and filled out. If one person writes in all caps, everyone needs to. If one person formats the date like 01/01/2014, everyone needs to format it that way. This job requires extreme attention to detail, and a lot of hassling your flight mates to format things correctly. It would be beneficial if this person had a personal printer. Pros: Fun if you like filling out forms? Cons: Getting your flight mates to cooperate and standardize things can be a hassle. Gives a security brief to the flight each week. If there is a security violation in the flight, the security rep has to document it. Cons: If your flight has a lot of security violations, you may get in trouble. 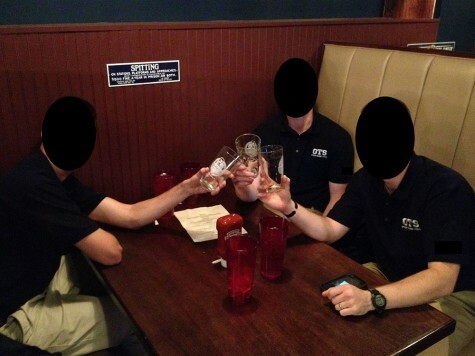 Plan morale events for the flight. Collect everyone’s weekly “morale reports” and send to the flight commander. Pros: Easy, just come up with events for the class. Best for an outgoing person. Cons: Have to collect and compile morale reports from the flight, then type up a flight average morale report for the flight commander. Responsible for making the flight do everything in a standardized way. For instance if you are in the flight room getting ready for class, everyone’s notebooks, pens, laptops, camelbaks and cups have to be organized in the same way. When you put down your attaché cases to do drill practice, they all have to be lined up the same way. When you do PT in the morning, your mat, flashlight, camelbak all have to be oriented the same way. Best for a detail oriented, possibly OCD person. Pros: Relatively easy once you figure out how you want to do things. Cons: Can be seen as bossy if handled the wrong way. It’s a pretty ridiculous job, but one of those things you have to do. Responsible for the flight’s drill. Makes corrections to the flight leader as they are marching the flight around campus. Will march the flight in their drill evaluations to earn their “driver’s license” (ability to march without a senior classman or flight commander around). Creates the schedule of who will be flight leader each day. Writes reports to flight commander regarding flight leader and drill progress. This is a great position for a prior-enlisted person that already knows how to march, though not required. Create an inventory of everyone’s personal laptop serial numbers and give to flight commander. Troubleshoot government issued laptop problems and elevate to squadron/wing level computer leaders if you can’t solve them. Better if the person knows about computers, but not really required. Pros: Pretty easy after you get the inventory done in the first couple of days. Cons: People blame you for all of their many computer problems. Responsible for organizing all of the flight’s various cleaning details. Decide who cleans the stairs, or cleans the day room, or washes the towels. Generate weekly report to the flight commander. Also responsible for cleaning Gilbert Hall on Saturdays. Pros: Easy as long as you don’t mind telling people what to clean. Cons: People don’t like to be told to clean. Creates the flight study guide for the written tests. Helps people study if they are struggling. Organizes group study sessions. Generates reports for flight commander. Best for a thorough note-taker and a good studier. Pros: May help them score even better on the test since they’ll be helping others and creating study guides. Cons: Creating the study guide can take quite a bit of time if you don’t take good notes in class. Weekly briefings to the flight on various news happenings. Probably a report to the flight commander (see a trend?). Pros: Very easy, just summarize a few news headlines for the flight. Cons: I can’t think of any. Create a weekly newsletter about what the flight did that week. Include pictures if you have any. Highlight people that did really well, or a funny story that happened to the flight. Pros: Relatively easy, though people usually procrastinate until the night it’s due and have to cram something together. Cons: Takes a little time to write a decent story, requires some basic knowledge of Word or a page layout program. 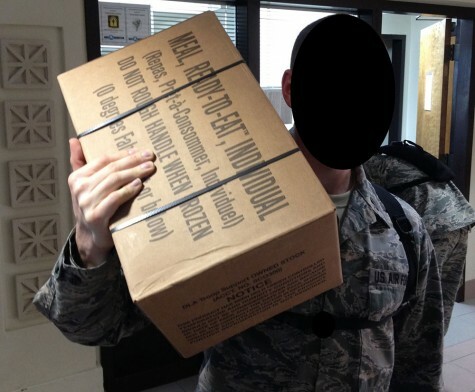 Pick up boxed lunches/MRE’s for the flight on days that you eat those. Pick up and deliver the mail to the flight from the flight room. Best for someone that has their car with them so they can drive to get things. Pros: You get access to your car and phone earlier than some people. Cons: You’ll be picking up food and mail and things when others have a little down time or more time to study. I honestly can’t even remember what they do, so it must be easy. They might be in charge of making sure the flight has gear they need for different events, such as mouth guards and kevlar for combatives, etc. The PT leader may be called upon to lead PT in later phases when you aren’t led by a staff member. They are also responsible for providing additional PT training to flight mates that may fail PT tests. You’ll also type up reports to the flight commander with everyone’s PT scores or the progress of someone that has failed and is receiving additional training. Pros: Relatively little time required, as long as your flight passes their PT tests. Give safety briefs to the flight, handle the paperwork for anyone that gets injured or is on a profile. Pros: Not a lot to do unless someone gets hurt. Cons: Have to do paperwork if someone gets hurt. © 2019 AFOTS - The postings on this site are my own and don’t necessarily represent Air Force positions, strategies, or opinions.